Courtesy of RE/MAX A Bar Z Realty. Room to roam that wont break the bank just a few minutes from the city! 2.27 acres of land with electric on property and paved road access! Use the existing mobile home or RV for while you create the retreat of your dreams. Value is in the land and what you can do with it in the meantime, camp, construct, get away or live happily ever after – the possibilities are in your capable hands! Gorgeous location of Pinal County near historical sites and outdoor destinations provide for beautiful & peaceful trips to town and recreation. Electric available, water may be hauled, mobile is not affixed and is in uninhabitable condition. All personal property will convey to Buyer with master Bill of Sale and contract language. Unusual opportunity – schedule a showing today! Approximate size: 98881.00 sq. ft. 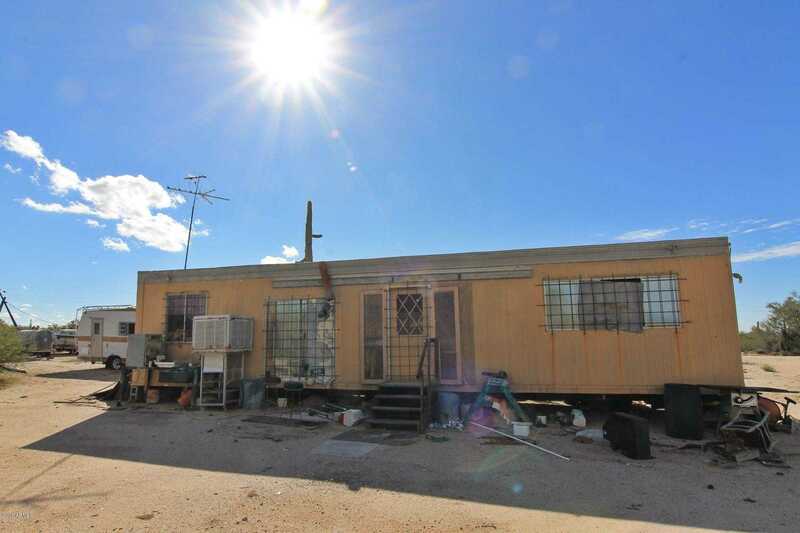 Please, send me more information on this property: MLS# 5860637 – $29,000 – 12696 N Hohokam Road, Florence, AZ 85132. I would like to schedule a private showing for this property: MLS# 5860637 – $29,000 – 12696 N Hohokam Road, Florence, AZ 85132.